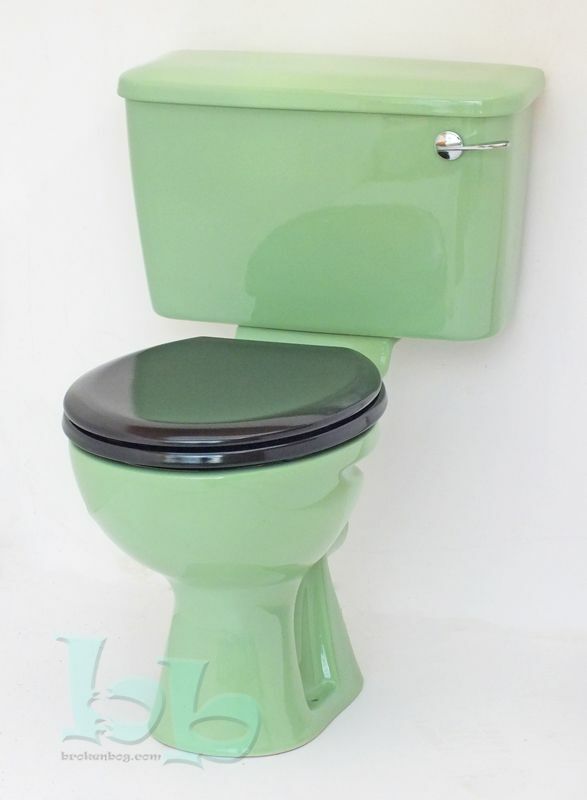 "New Catherine" close-coupled toilet pan and cistern in Jade Green colour, comes as standard with Chrome cistern lever and internal fittings ready for installation as a complete replacement WC for an existing Jade Green bathroom suite or as part of a new coloured bathroom installation. Contrasting toilet seat and Gold-plated cistern levers available at additional cost - see dropdown menus above. NB: Jade Green toilet seats are unfortunately no longer available. You can order a Black seat for an additional cost of £43.20 - see dropdown menus above. 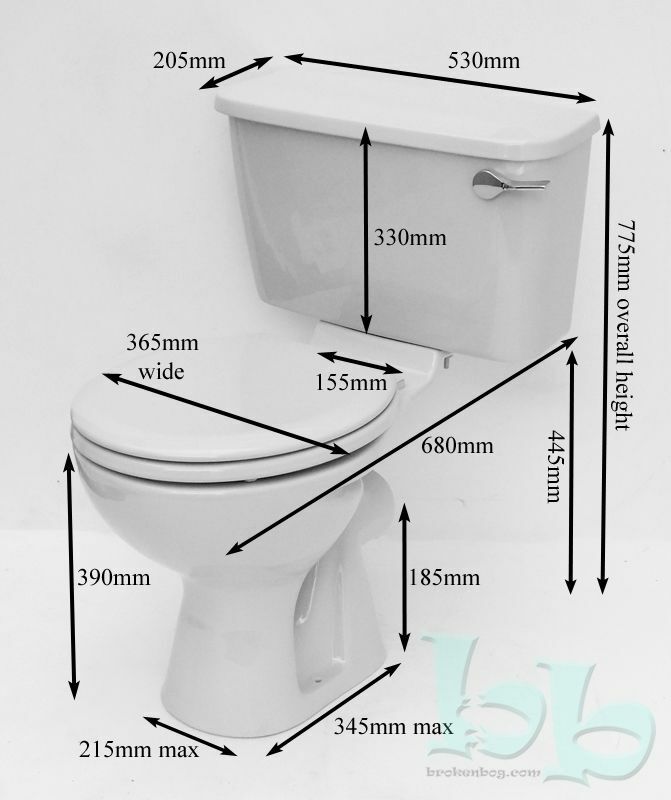 The "New Catherine" model toilet is compatible with any standard size toilet seat. Please contact us for other colours and options available. This Jade Green coloured pan and cistern makes an excellent replacement for many makes and models of WC, such as Allia, Armitage Ware, Doulton, Johnson Brothers, Shanks, Trent, Twyfords, and many more manufacturers who produced this classical bathroom colour from the 50s through to the 70s. This colour would also look great as part of a new installation to catch the retro wave that's sweeping Britain at the moment.